On this fascinating tour, guests start the day by sailing to the island of Aceh. Disembark to a local ferry from Sabang harbor which will take guests on a 60 minute journey crossing the Malacca Strait to Banda Aceh. Arriving in Banda Aceh, guests then board a coach and observe the city that had once been destroyed by the Tsunami – but has grown into a thriving destination once again. We also visit Baiturahman Great Mosque. This mosque is a landmark of Banda Aceh located in the middle of the city and has become a symbol of Acehnese pride. One of our final farewells is watching a Saman Dance while enjoying local treats. Maratua is one of Indonesia’s furthest outlying islands and is home to an extraordinary abundance of wildlife, creating an exceptional destination for divers to explore. 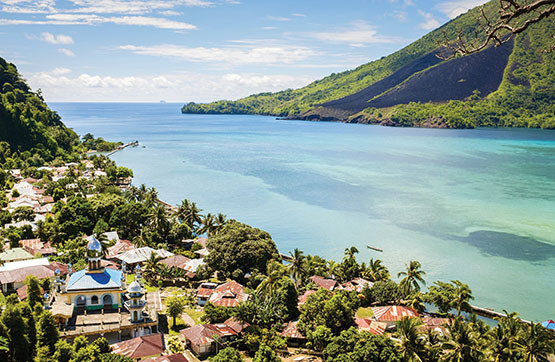 The visit to Maratua provides an opportunity to explore both Maratua and Kakaban Islands. 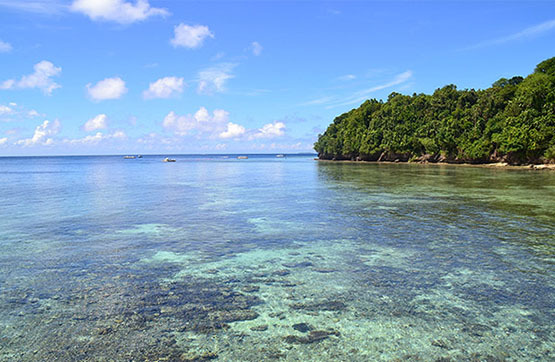 In Kakaban Island visitors can swim and snorkel with the non-stinging jellyfish and view the extensive colorful corals and fishes. Returning to Maratua Island we stop at Payung Payung, a small fishing village with a beautiful beach where there is an opportunity to swim with turtles.